FurReal Friends Happy to See Me Pets My Bouncin' Pup Pet Only $15 + FREE Store Pickup (Reg. $24)! You are here: Home / Great Deals / FurReal Friends Happy to See Me Pets My Bouncin’ Pup Pet Only $15 + FREE Store Pickup (Reg. $24)! 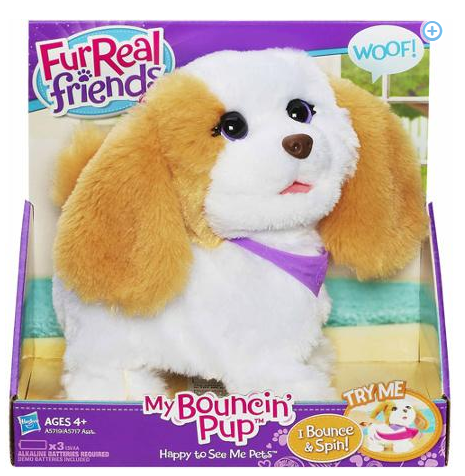 FurReal Friends Happy to See Me Pets My Bouncin’ Pup Pet Only $15 + FREE Store Pickup (Reg. $24)! Yay! My daughter has been begging for this and I’ve been waiting for it to go on sale! Well, right now, we can snag this FurReal Friends Happy to See Me Pets My Bouncin’ Pup Pet for only $15 + FREE Store Pickup (Reg. $24) if available in your area! I can’t wait to give this to her!